He is the young star face of Pepsi and now Bollywood actor Ranbir Kapoor has become the brand ambassador for consumer goods giant Panasonic India as well. The 26-year-old actor, who made his debut with Sanjay Leela Bhansali's Saawariya in 2007, was officially tasked to promote Panasonic's VIERA LCDs and Plasmas as well as television and home theatre brands across India at an event held at the Ashok Hotel here. "Like every movie I choose to be a part of, I have chosen to endorse this brand after careful thought. I can only hold up those products that I am fully convinced about. I feel truly honoured to be its brand ambassador," said Ranbir, who looked charming in a formal black suit. "I have childhood memories of this brand since my father (actor Rishi Kapoor) had bought his first speakers from this company and he used to be very possessive about them. Even now, the telephones and televisions that I have at home are of the same brand," he added. 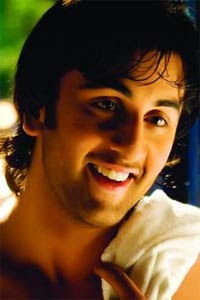 Asked whether he would go out of his way to promote the products of the brand through his movies, Ranbir quipped: "Yes! If a film has a certain scene where a TV set is required, I will definitely ask the filmmaker to use Panasonic." According to Manish Sharma, head of marketing at Panasonic India Pvt Ltd (consumer electronics and home appliances), the company zeroed in on Ranbir because "he matched the brand personality". "We conducted a research and wanted our brand ambassador to meet five dimensions - he should be an established personality, should be able to create excitement, should have a competent personality, should be a premium brand himself and should be seasoned. For us, Ranbir's cool and trendy image was a perfect match," said Sharma. As the brand ambassador, Ranbir would be involved in "communicating the brand values of the company through multi-media campaigns", the company official said. A special commercial featuring the Bachna Ae Haseeno star will be aired on television starting this month.